EMIR (Espectrógrafo Multiobjeto Infrarrojo) is a common-user, wide-field, near-infrared (NIR) camera-spectrograph operating at wavelengths between 0.9–2.5 um, using cryogenic configurable multi-slit masks. EMIR equipment includes three advanced technology subsystems, some of which have been specially designed for this project: a robotic reconfigurable slit system, (CSU) which allows one to take spectra of up to 55 objects simultaneously; high resolution dispersive elements formed by inserting high quality diffraction gratings in between large prisms made of high refractive index material (ZnSe); a 3D translation table, the Detector Translation Unit (DTU), which can move the detector along the optical axis (Z) for refocusing as well as positioning it with subpixel accuracy in the XY plane; and the 2048x2048 pixels HAWAII-2 FPA designed for the NIR, fitted with a new control system developed by the project team. 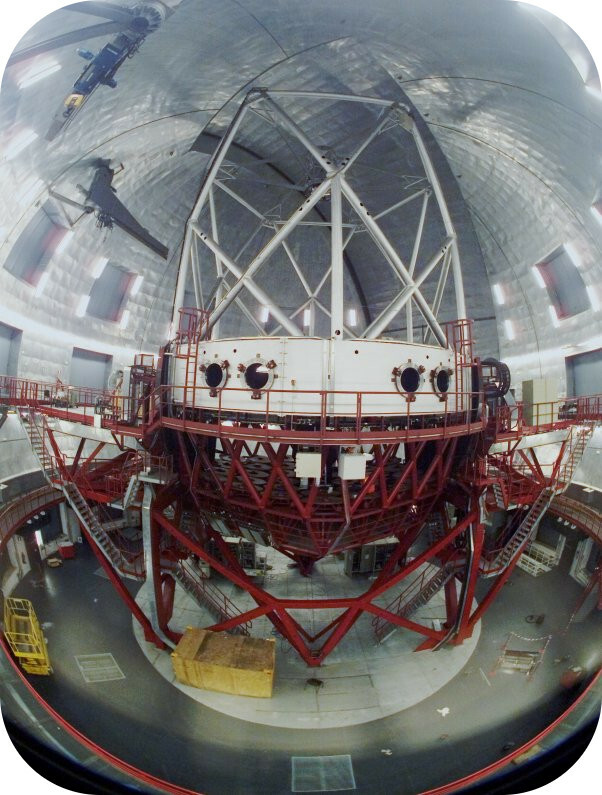 EMIR is installed at the Nasmyth focus of the GTC and provides the telescope user community with key new observing capabilities (imaging, long-slit and multi-object spectroscopic). EMIR is one of the firsts cryogenic multi-object spectrograph on a 10m class telescope, hence it will be able to observe in the K band at 2.2µm. 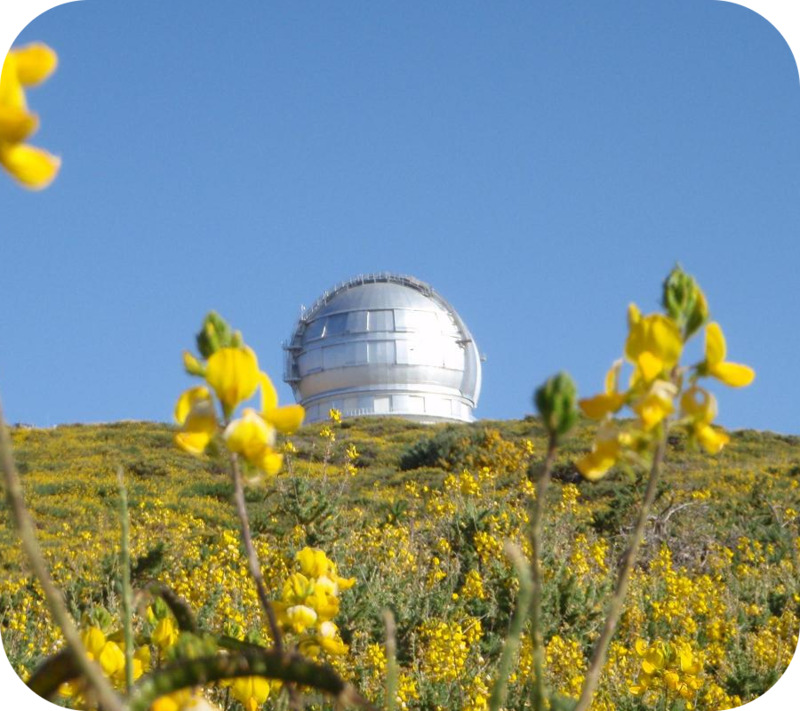 EMIR will open, for the first time, the study of the nature of galaxies at redshifts beyond z=2 with unprecedented depth and area. At these redshifts, the well-studied visible rest-frame of galaxies, in particular the strong Hα line, is shifted to the K band, allowing key diagnostics of the star formation history of the Universe. EMIR will act as the bridge between the extensive studies at lower redshifts carried out in the nineties on 4m class telescopes and those above z=6 planned for the near future using the far infrared and millimetric wavelengths. EMIR will also provide a bridge between current spectroscopic capabilities and those that will become available in the next decade. The EMIR design was largely determined by the requirements of its main scientific driver, the study of distant, faint galaxies. Being a common-user instrument, however, it has been designed to meet many of the broadest expectations of the astronomical community. It is, therefore, a versatile instrument that will accomplish a wide variety of scientific projects in extragalactic, stellar and Solar System astronomy. The Milky Way at infrared (top), optical (middle) and Xray (bottom) wavelengths. Images from NASA’s Multi-wavelength Milky Way. 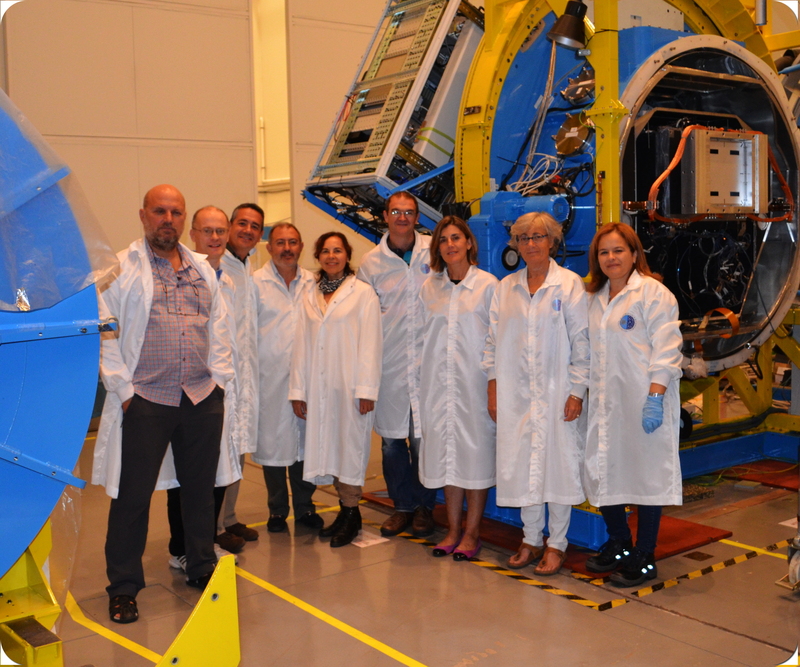 The project is led by the IAC with the participation of the Laboratoire d''Astrophysique - Observatoire Midi-Pyrénées (France), the Universidad Complutense de Madrid and the Laboratoire d''Astrophysique - Observatoire de Marseille (France).